The Open Science Forum for Latin America and the Caribbean has construed itself as a key regional space for debates and exchanges and is organized every two years, alternating in distinct cities throughout the region. It seeks to establish itself as a platform for the outlining of common positions and aspirations for a scientific, technological, and innovation agenda supporting sustainable development whilst simultaneously giving the region a strong voice in the global scope of the World Science Forum. In this way, CILAC has become a regional event, with the participation of colleagues and organisations from all continents, and seeks to contribute to the design of a planetary strategy in favor of science´s role in sustainable development. The key objective of the Forum is to create a dynamic and inclusive space for debating, planning, and monitoring between all the involved actors, the scientific and technological integration of the region and the role that Science, Technology, and Innovation can play for the region’s sustainable development. A conference unique in its genre, CILAC connects future researchers with renowned scientists, young entrepreneurs with business and corporate leaders, visionaries and innovators with political decision makers, artists, designers, inventors and engineers, scientific journalists and centers for scientific research…All summoned by the enormous challenges of our time which require the interdisciplinary and multisectoral collaboration between all of the Latin American and Caribbean society. The Open Forum, defined by its focus on multilateral discussions, includes Plenary Conferences/Sessions led by renowned experts from the region and the world, Thematic Sessions and Parallel Events in which ministers, university rectors, businessmen, scientists, researchers, innovators, representatives from international and non-governmental institutions and civil society. The programme includes posters exhibition, installation of institutional stands and technical visits for interested participants.  CILAC configures a plural, coherent, and articulated meeting of multiples reflective activities and proposals from the Latin American region within the framework of the 2030 Agenda for Sustainable Development. Panama, a connected and sustainable city, is ready to receive you in October 2018 to live together the II Latin American and Caribbean Open Science Forum, CILAC 2018, the most important event of knowledge in our region. The Open City for Science will be celebrated throughout Panama City´s public spaces. Its decentralized activities, aimed at disseminating scientific knowledge and creating connections between science, culture, and society, are a direct invitation for civil society to engage with science, technology, and innovation through culture and the arts, including theatre, dance, informal discussions, performances and demonstrations.